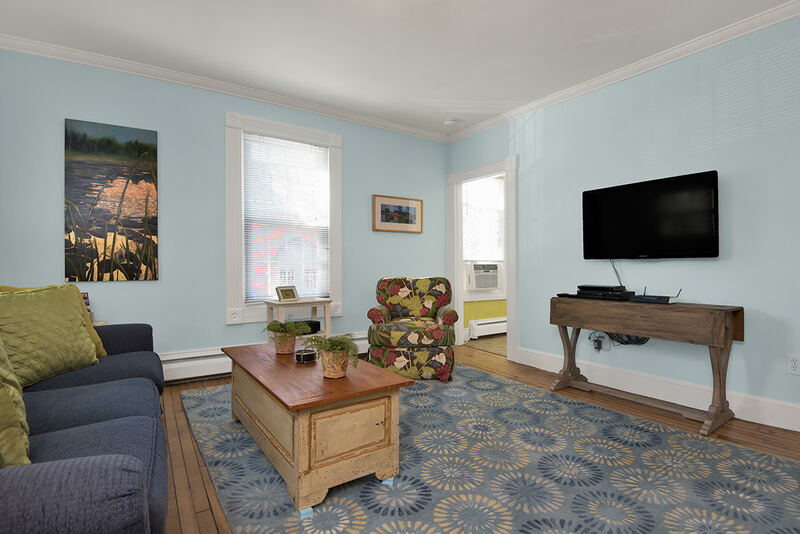 Located within the vibrant perimeter of Portland’s Old Port step into this colorful one bedroom, one bath completely furnished apartment. 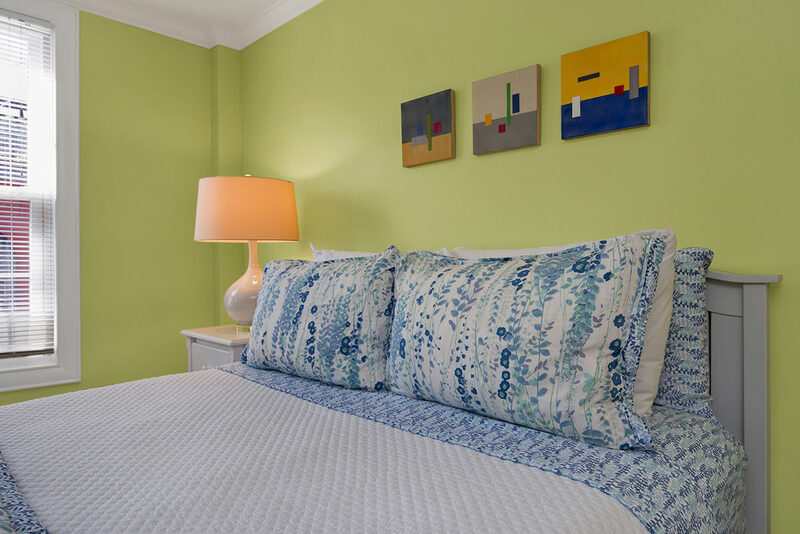 From the custom kitchen, to the amazing works of art featuring local Maine artists, to the shared deck overlooking the beautiful courtyard, this unit is stunning and certainly a rare find! 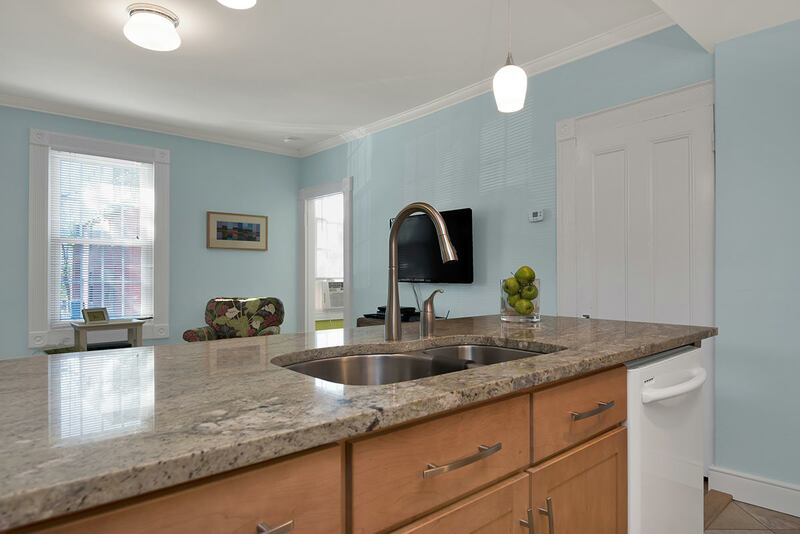 The custom eat-in fully appliance kitchen features a granite topped island with plentiful seating and is stocked with everything you will need. 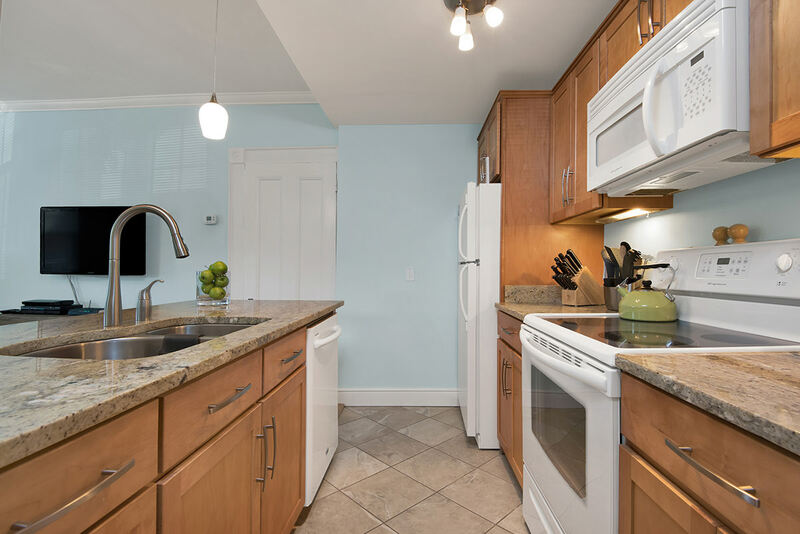 The maple cabinets combined with the crisp white appliances and well placed accent lighting set a calming tone to enjoy creating your evening meal. 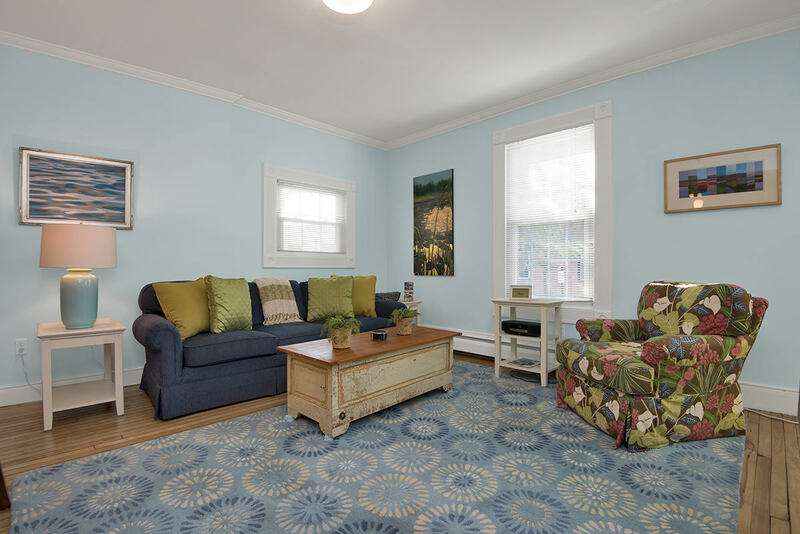 The living room features hardwood floors and a plasma TV; with its light blue walls this area is both comfortable and relaxing. 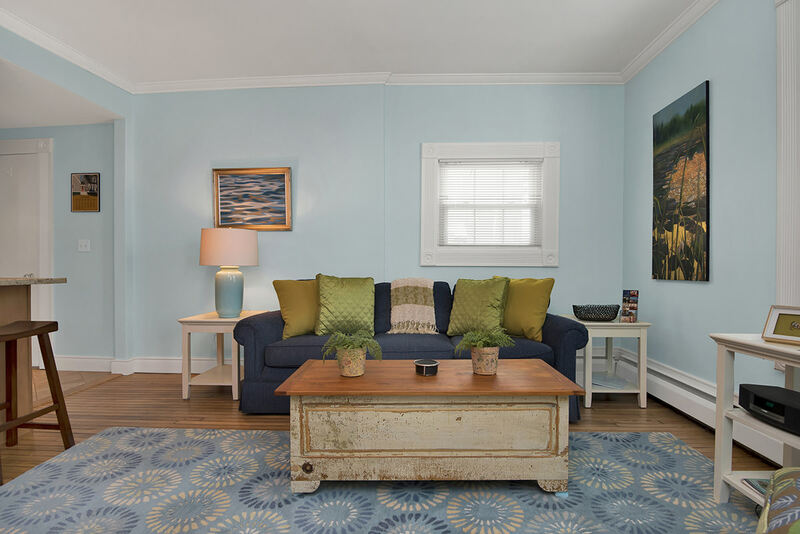 The open floor plan of this living space also makes entertaining and enjoying the space ideal. 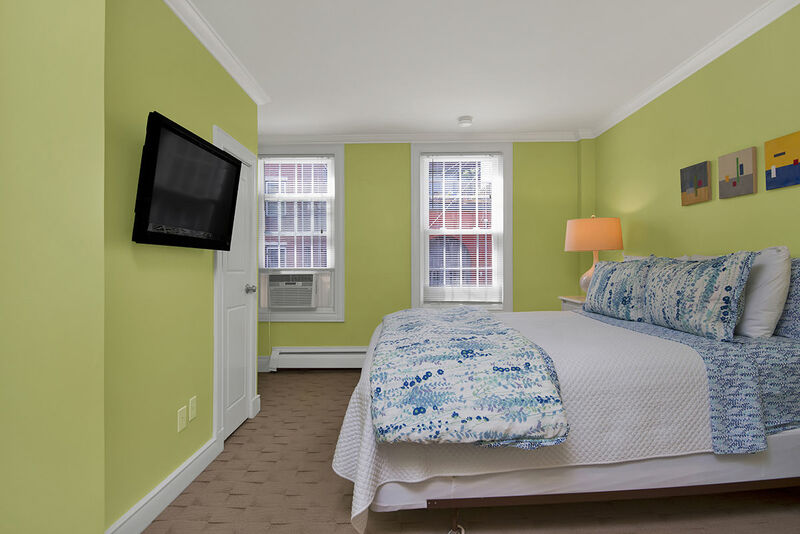 The bedroom of this in-town apartment includes a queen sized bed complete with sharp white dresser and nightstand with extra storage, hanging mirror, abundant lighting, Bose stereo and another plasma TV. 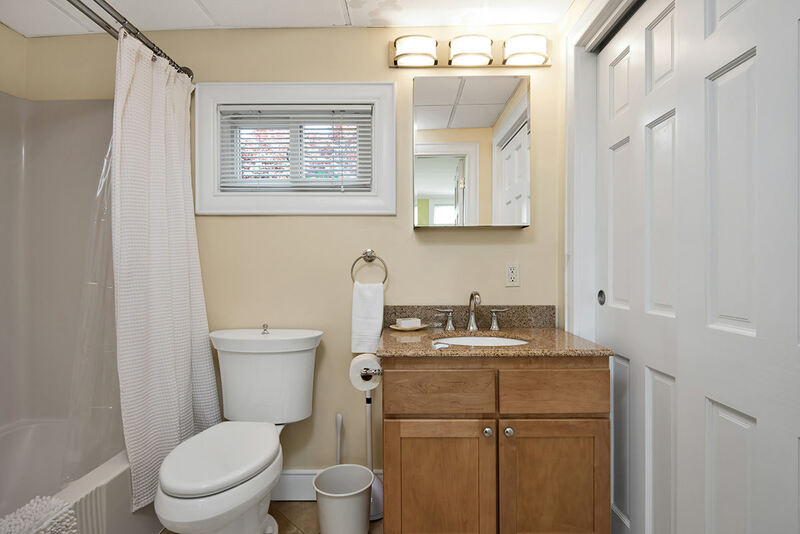 The bathroom features a full sized shower, tile flooring, petite window allowing for added natural lighting and a granite vanity. 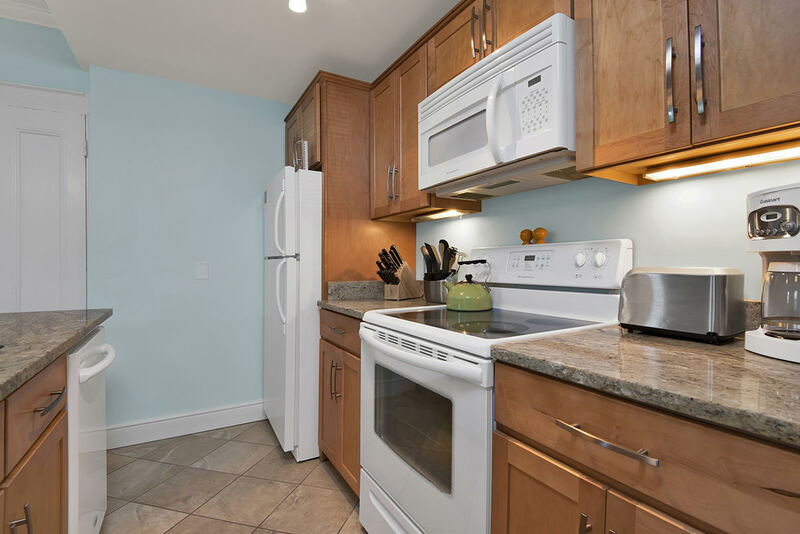 What would be better than this convenient in-town location – how about outdoor living space? 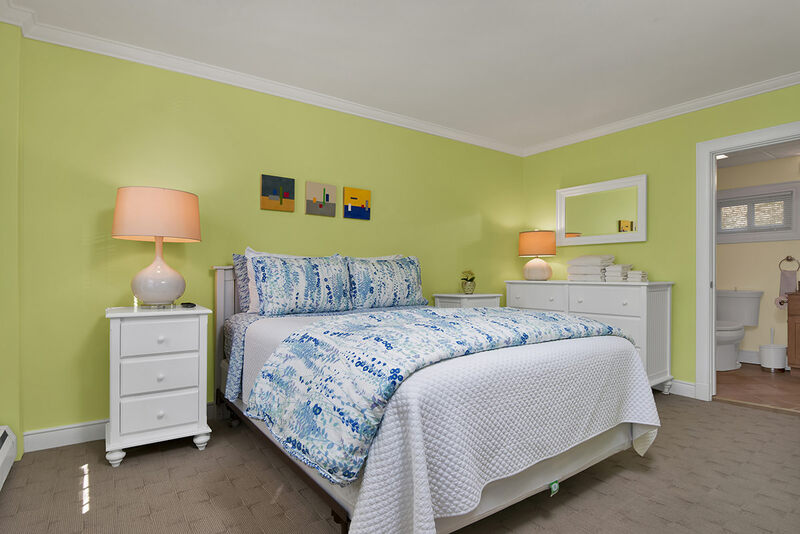 This unit features a shared deck that overlooks the beautifully landscaped courtyard and sitting area. The courtyard is perfect for enjoying the warm summer Maine nights or the majestic autumn days as the leaves start to turn into impressive shades of reds and orange. This unit has it all! 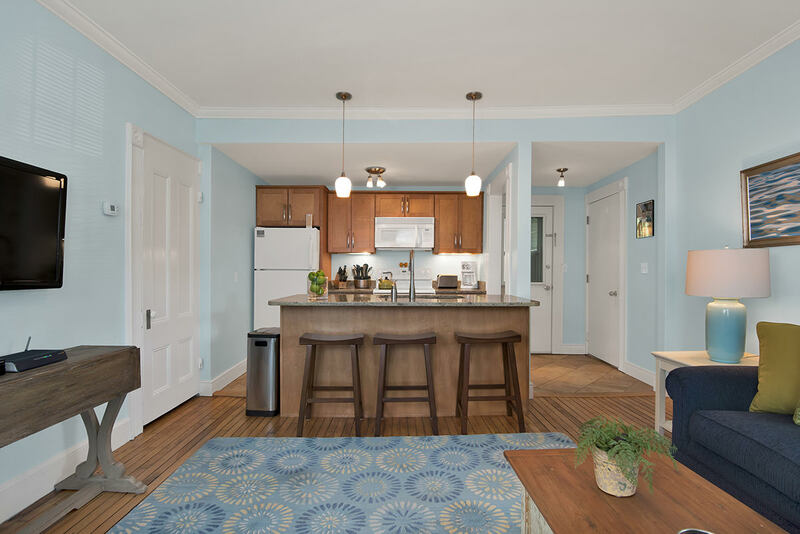 A custom kitchen with an island and extra seating, open floor plan, comfortable living area, air conditioning, complimentary Wi-Fi and cable, outside living area, private courtyard all while being right in the heart of Portland.